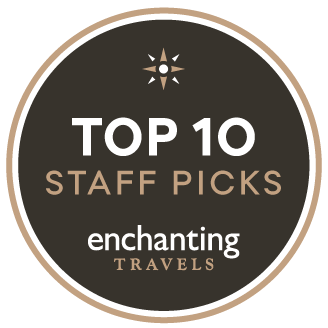 We are excited to present this personal travel story from one of our top ten Travel Writer Award finalists. Read more about the travel experiences of Jessica Pena. 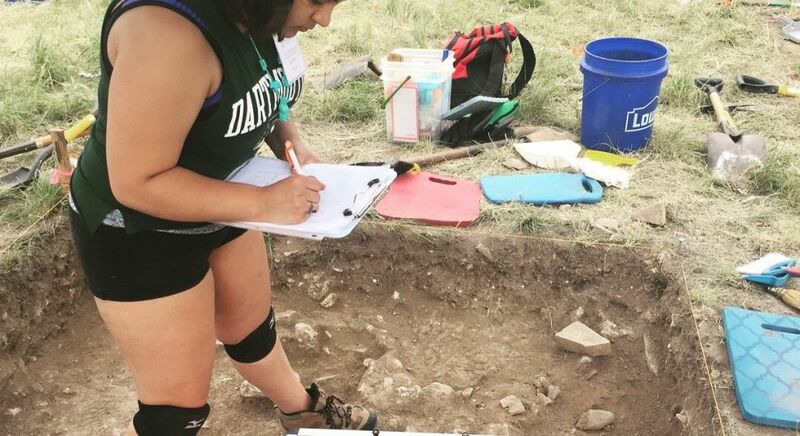 I have been in love with archaeology since I was a child. 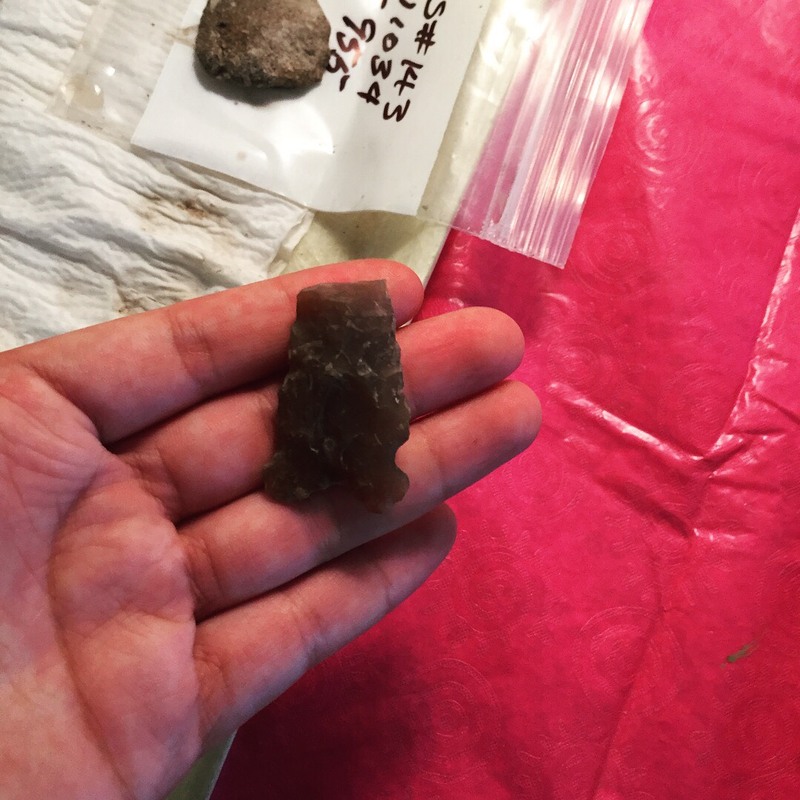 When I was three, I watched Jurassic Park and became enamored with the idea of archaeology. I went into my backyard with my brand new electronic toothbrush. I did find bones- from that week’s previous barbecued chicken. Needless to say, my mother was not happy, but I was. 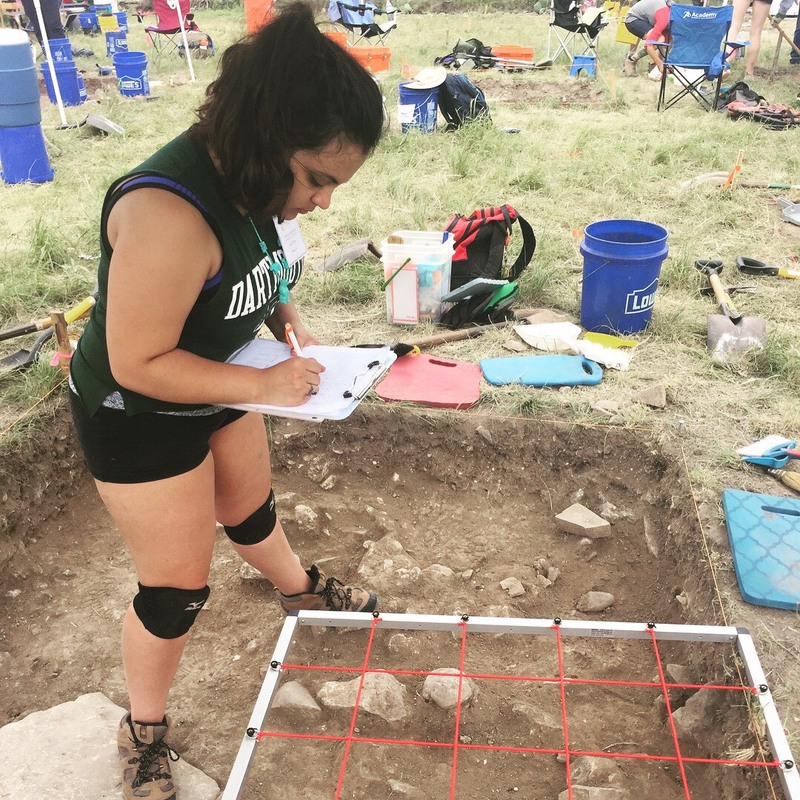 This pursuit if archaeology expanded into a love for history and anthropology, specifically American History. 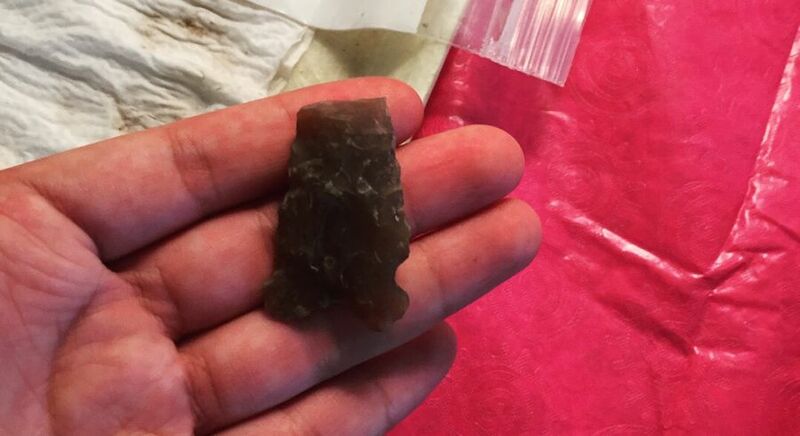 So, one summer in my high school year, when I heard about a dig from the Texas Archaeological Society on a Spanish Colonial site, I knew I had to go. As a soon-to-be Dartmouth student, I need as much real-world experience as I can get before attending digs in the Mediterranean and Middle East, and decided that my home-state would be an ideal starting point. We stayed near the East coast, where I had a beautiful view by the sea as I spent my day in the dirt- we were on a tall, grassy mountain that overlooked the blue-green waters. As I dug, I felt the sun beating on my back in a comforting way, the warmth of the ways tanning my skin. Sunglasses became my best friend and we spent our down-time on the beach and camping. As much as I like Galveston, there is nothing compared to surfing turquoise waves to a white-sandy beachline. At night, the supervisors of our dig hosted marshmallow roasts and country song sing-alongs as fireflies glowed in between the trees- it was quite the change of scenery for a city girl from Texas. The air felt clearer and the forest was so calming and quiet (though admittedly humid at night from my tent). Our plan for the site was to dig in layers of 10cm and, once the layer was evenly dug out, to take account of any architectural or natural formations and take account of any artifacts found in that layer. The site used to be a mission, eventually burning down around the late 1600s, but most activity and artifacts were predicted to be from the 1500s and be largely Native American- based. 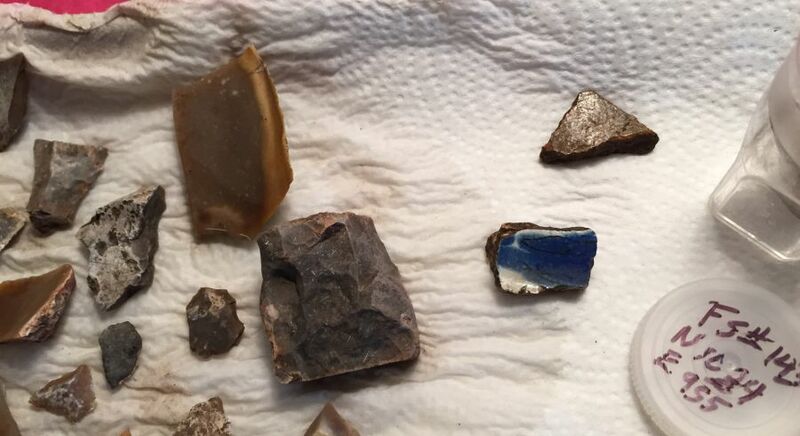 From layer upon layer, we found bits and pieces of mosaic glass, shards of ceramic, and musket balls. Though I had to learn to fill out a lot of paperwork, from reporting each rock shard and artifact for each level to mapping out protruding rocks, I had never felt more driven and excited about a project or vacation for that matter. On the third day, we had reached the fourth level, and I found something yellowish and rectangular. On a suspicion, I placed it on my tongue and, like I predicted, it stuck to my tongue- showing the porosity of bone. 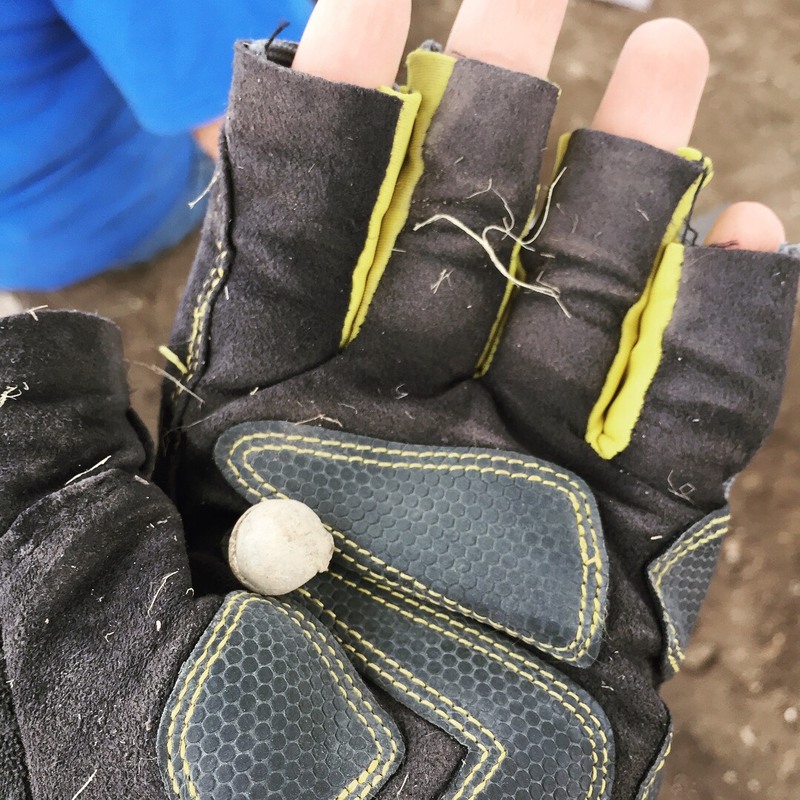 I gave it to my dig supervisor who informed me, to my slight horror, that it was a part of a human forearm. We immediately had to stop the dog. 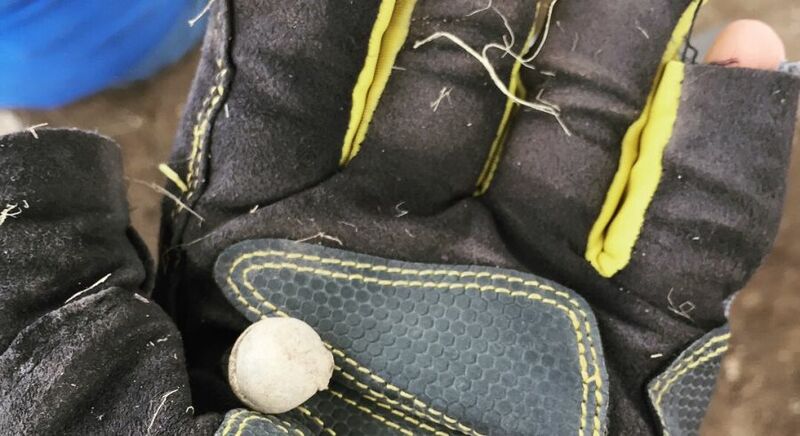 According to Texas statute laws, if a human bone that exceeds 5mm is found on the premises, all digging or construction of must be stopped in order to investigate if the remains are recent or if this site qualifies as a funerary site. 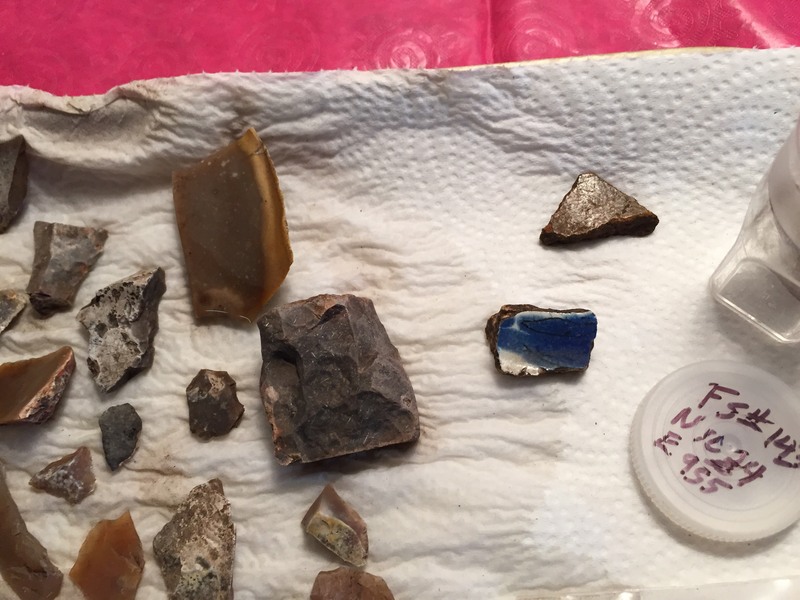 Thankfully, carbon dating tested that the bone was from the 1500s, and we could resume digging the day after. Our dig decided to close up early, due to digging ahead of schedule. Some of my fellow students and I decided to stay our last day at the beach, enjoying everything the beautiful coast had to offer. I learned (some) of the basics of sailing and was daring enough to try cliff diving. Though I have some experience diving, the first time I jumped, I nearly cracked my head on a ledge as nerves got the best of me at the last minute. After my first jump, I grew more confident and, towards the end, could even do a back flip. I was so sad to have to leave the warm, tropical Gulf, but definitely had the time of my life. Did you enjoy reading about Jessica’s travel experiences? Like her story on Facebook to vote for Jessica and she could be the winner of our Travel Writer Award 2017!